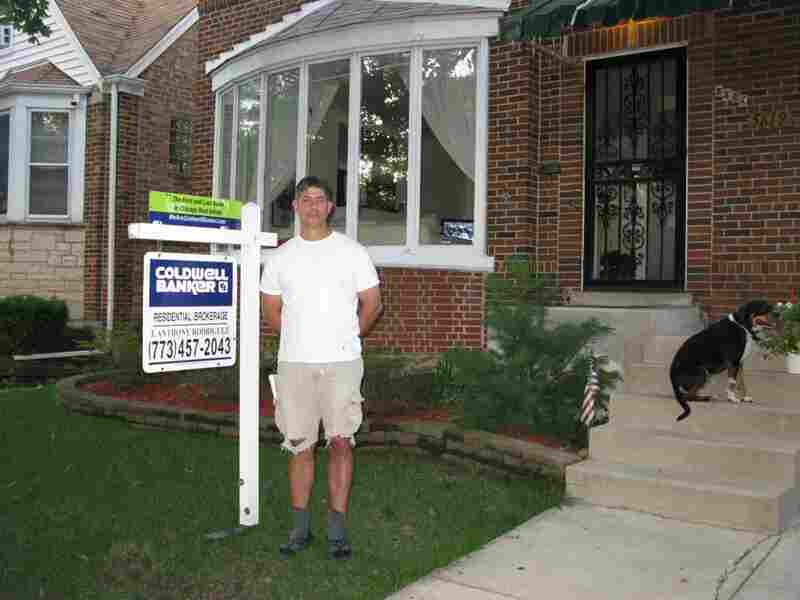 Russell Zanca, 47, of Chicago, is selling his three-bedroom house despite the uncertainty in the housing market. For most people, their biggest investment is their home. Following Standard & Poor's downgrade of U.S. credit, as well as of Fannie Mae and Freddie Mac, there may be even more uncertainty about buying or selling a home right now. Russell Zanca, 47, has a three-bedroom vintage brick Georgian house on the market. The anthropology professor's home is on a quiet tree-lined street on Chicago's North Side. "It's just a nice solid house," Zanca says. He's selling because he is getting married and will soon move into his fiancee's house, but he's been thinking about selling for quite some time. "Really since 2008, I kept thinking, well, next year can't be worse than this year, but once we decided to get married, which was more than a year ago, that's when we started talking about what are we doing with the houses," Zanca says. He has a buyer and hopes to close in a month or so. Still, the troubling financial news of the past several days is making him a little nervous. "I just started thinking, what is this gonna mean, you know. And I did think, I'm glad that it looks like I have this contract and it looks like I'm getting rid of this thing now, rather than hearing this and having the house on the market and not knowing if anyone was even going to come and see it." What worries Zanca more is what the housing market might be like a year from now when he and his new wife plan to start looking for a bigger house. For now, S&P's downgrade has had only one tangible impact on the housing market: It pushed nearly historic low interest rates even lower. But does that mean it's a good time to buy? "Absolutely, absolutely." says Ron Haddad, a senior mortgage banker with Baird & Warner Financial Services in Chicago. "The affordability for the cost of ownership is at an all-time low. Interest rates are so low; the prices with a lot of the properties in our area are absolutely at amazing levels. It makes sense to buy." Mabel Guzman of the Chicago Association of Realtors agrees: "For the person on the street it's about jobs. So if they have job security, they're going to make that long-term investment into real estate. If they don't and they feel, 'Well, I feel the trend is changing, I could be downsized, I'm not seeing a lot of growth in my sector that I work in,' then [they] will make the short-term decision to rent, until [they] feel things have turned around." Guzman adds that even buyers, who are in a good position right now — and sellers, for that matter — might find the frenetic pace of financial news lately and the huge volatility in the markets to be too much. "They're overwhelmed," Guzman says. "Their head is exploding and unfortunately there are dollar signs coming out of it." Real estate experts and economists say it's really still too soon to tell if the financial news of the past week or so will have any long-term impact on the housing market. But to be sure, the market wasn't great to begin with, and it is still struggling to recover from the last housing crisis. It doesn't need another.